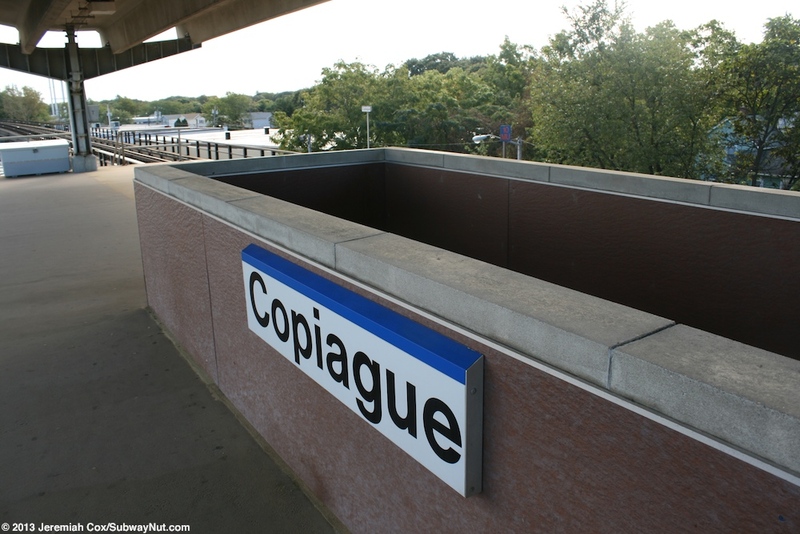 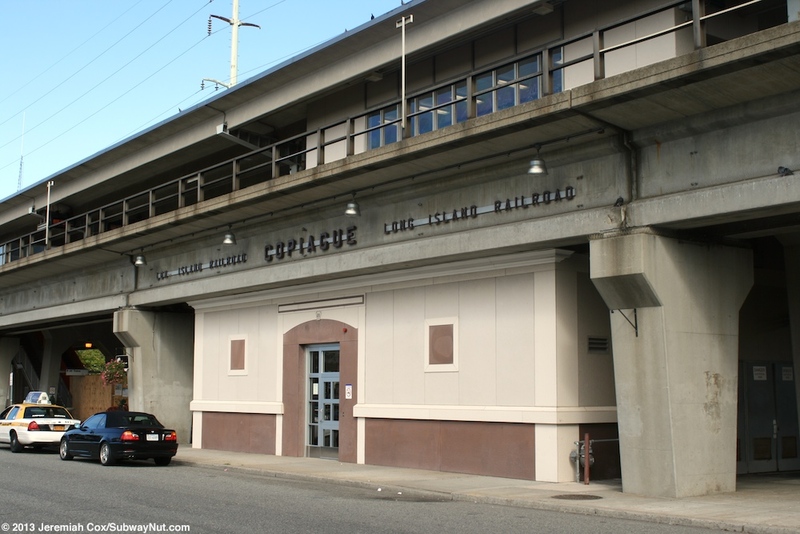 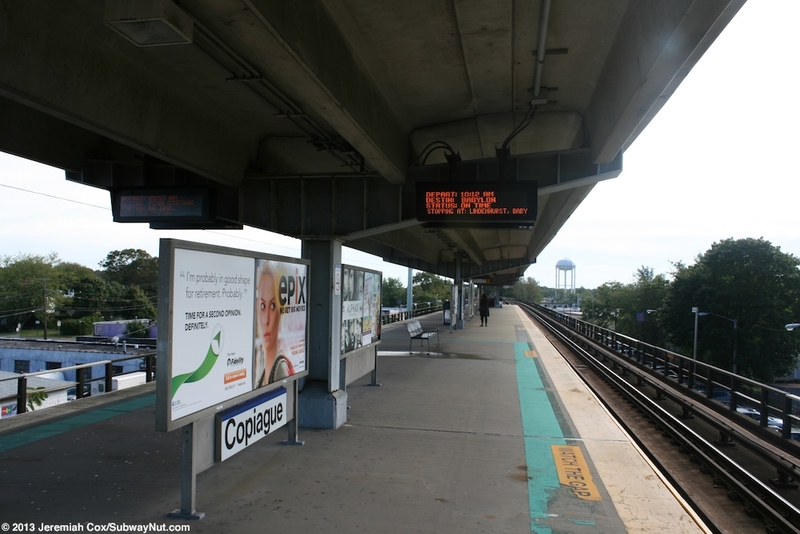 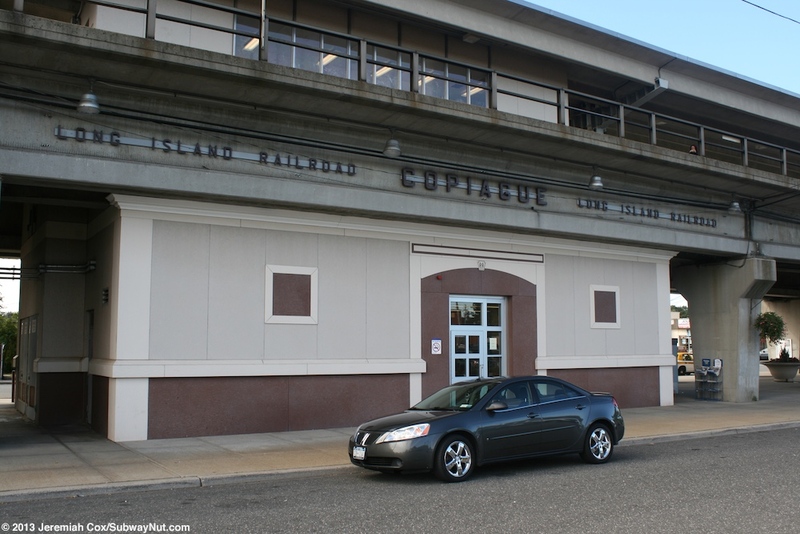 Copiague is the middle station on an elevated portion of the Babylon Line on a concrete guideway that opened on August 7, 1973 replacing the former street-level line. 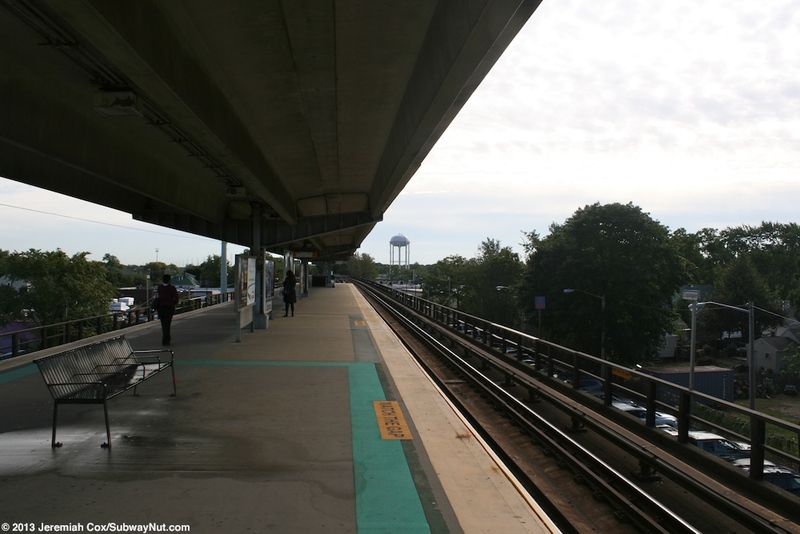 The station has the normal island platform for the two-track line that can accommodate 10 cars and is canopied for its entire length. 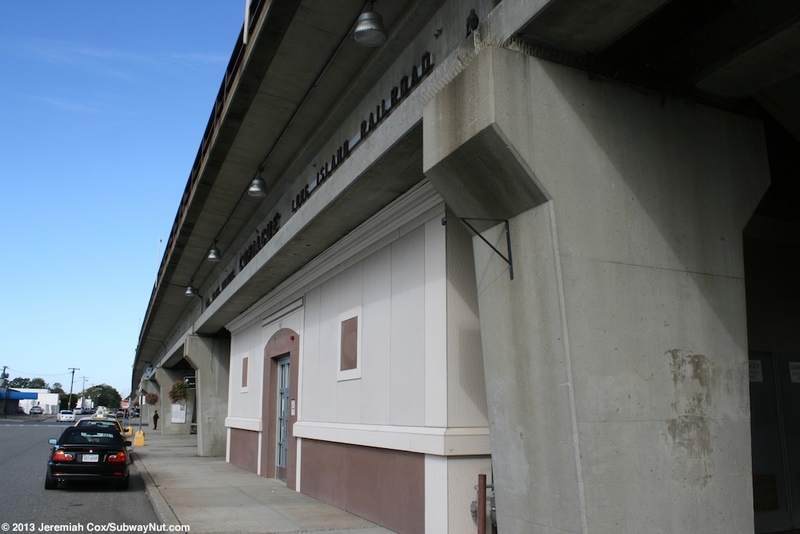 This canopy has single metal supports holding up a concrete roof. 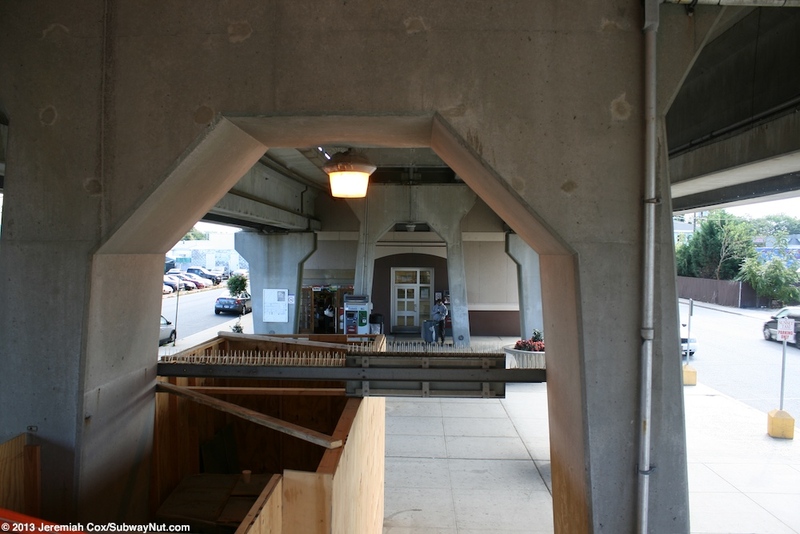 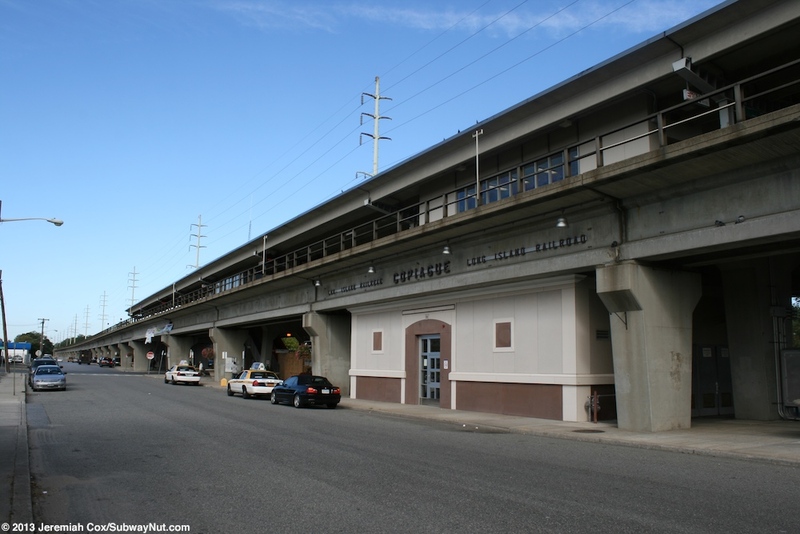 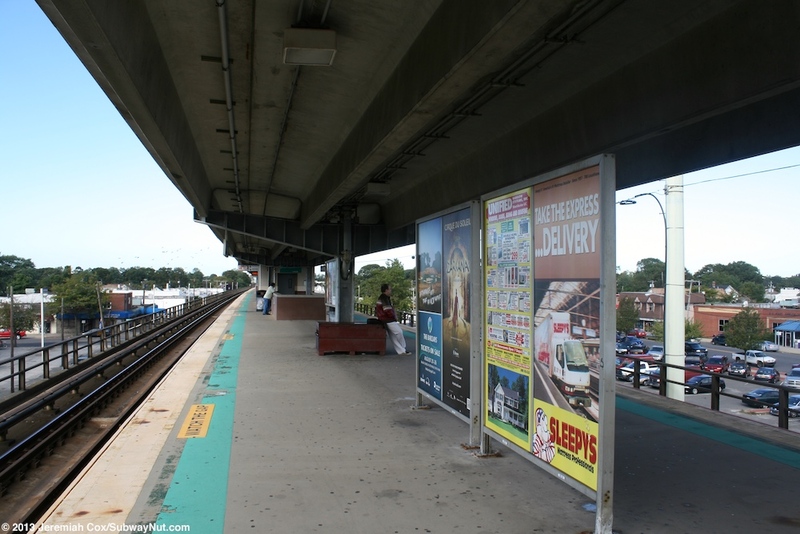 The station has a small station nestled beneath the tracks between two driveways to small parking lots with some parking lots under the tracks. 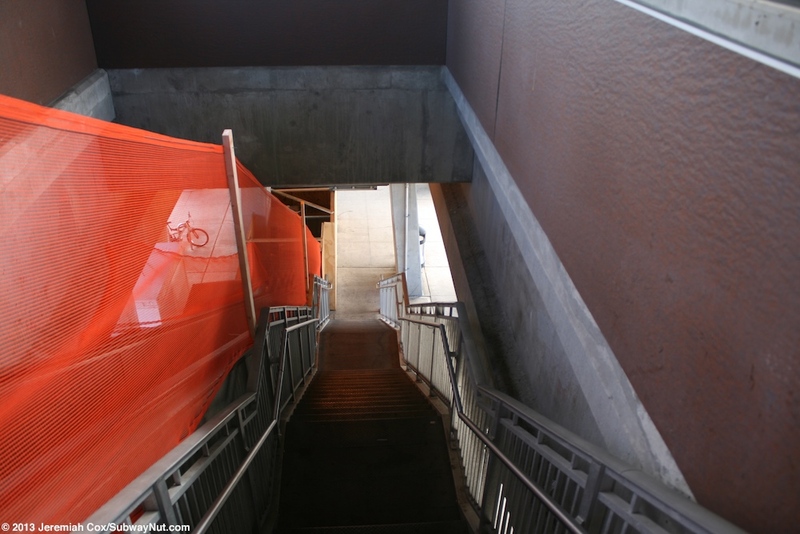 The exterior walls are modular looking with off white and redish coloring. 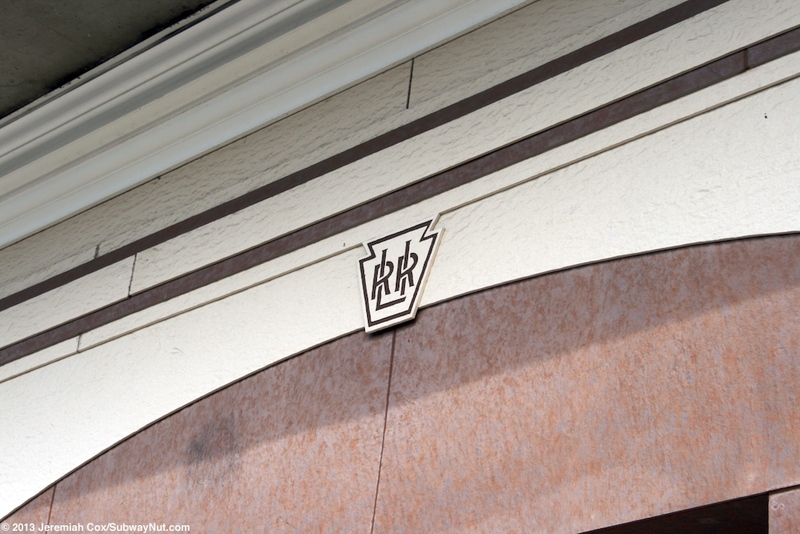 There are replicas of the LIRR Keystone logo above the doors. 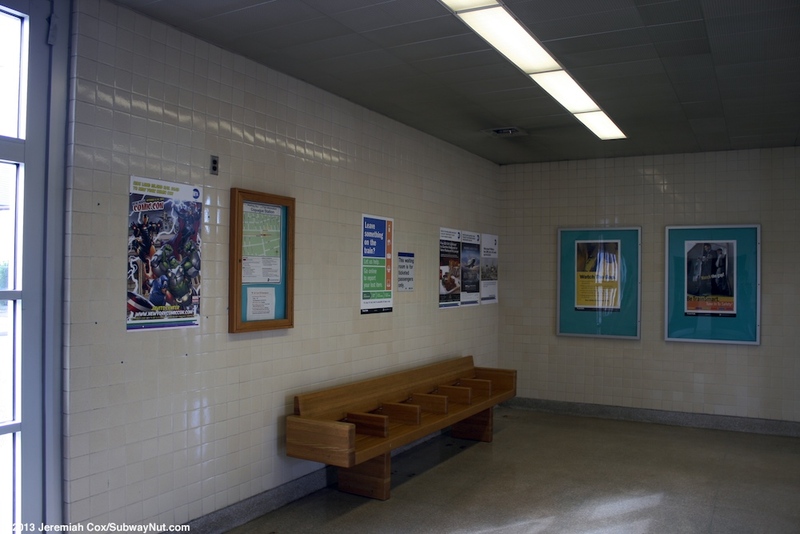 Inside this station house is a small waiting room with a few black benches, white tiled walls and a closed ticket window. 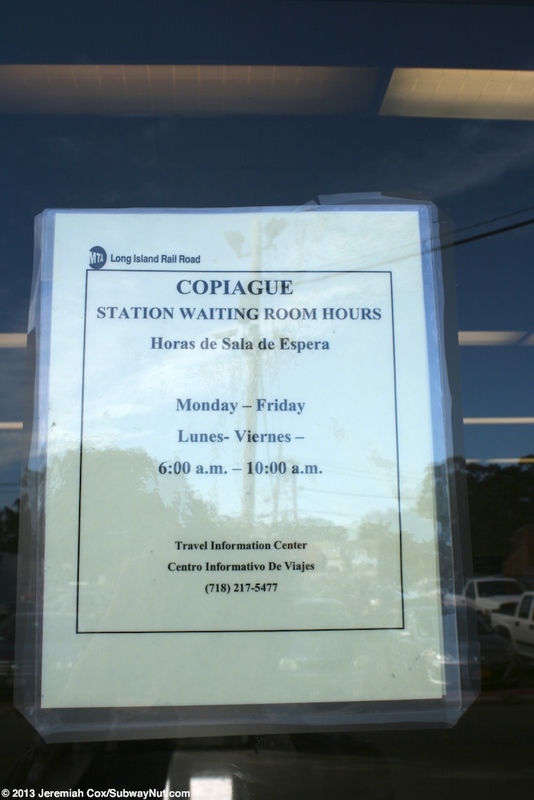 This station house is only open during the morning rush hour from 6:00am to 10:00am! 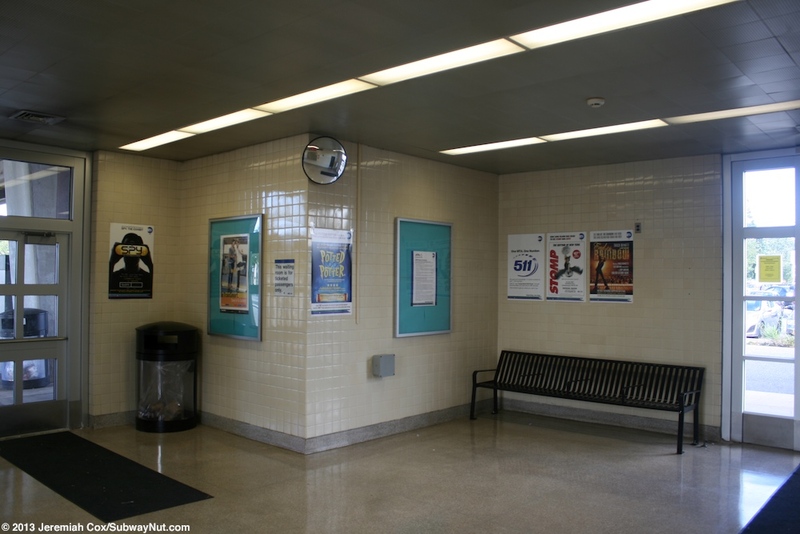 Directly above the station house on the platform is a small waiting shelter in the same style. 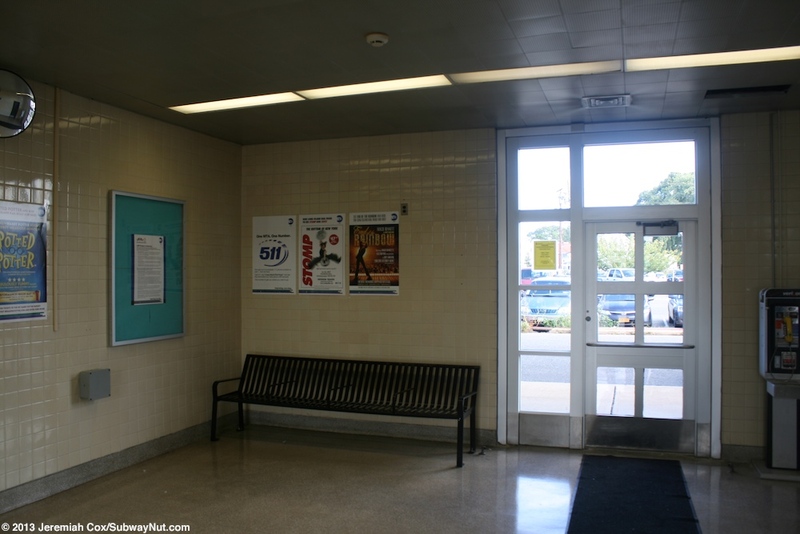 Inside is a crummy looking waiting room with a couple black benches. 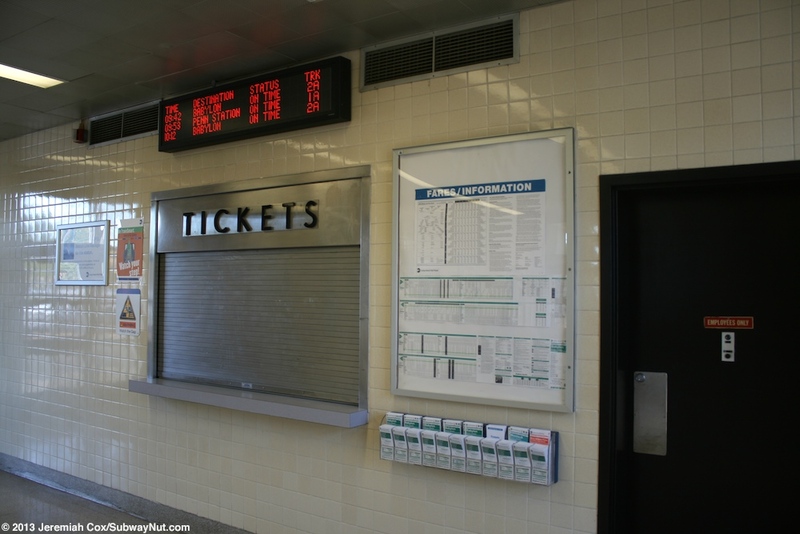 It's walls look similar with a line of windows with silver framing. 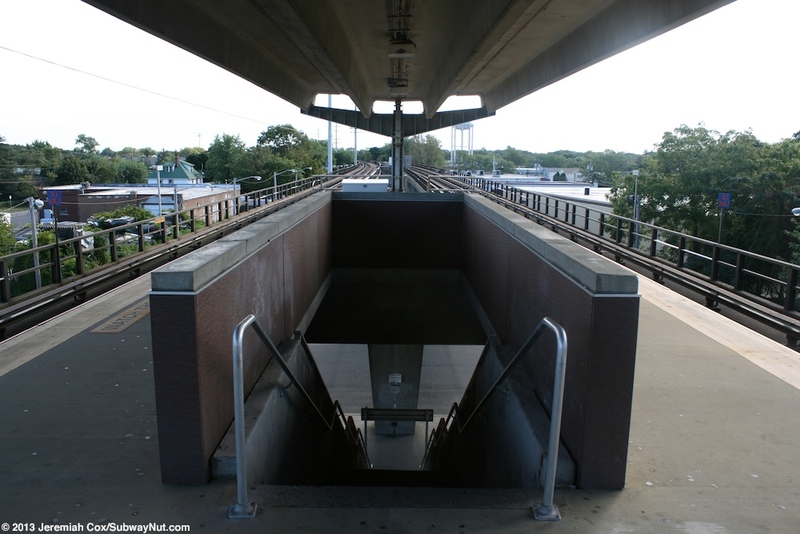 To get between the platform and street just west of the station house is the main staircase/up escalator to the platform. 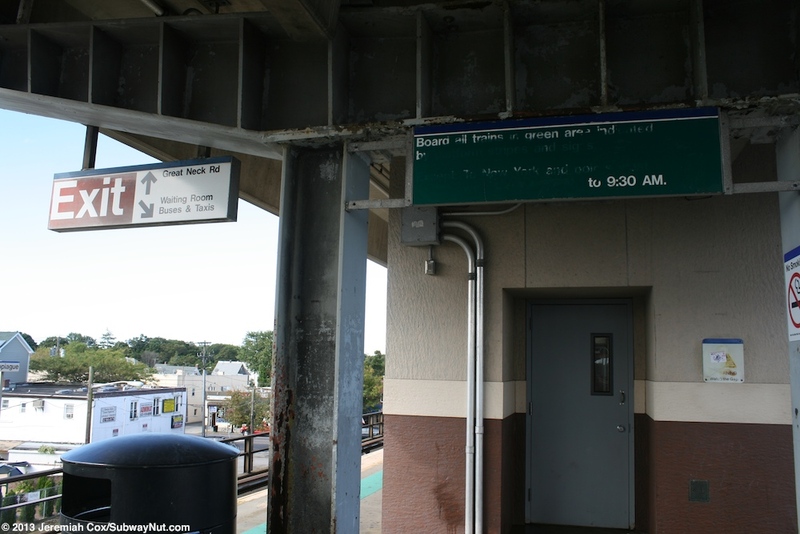 This is just before Great Neck Road and the platform crosses this and has another staircase down to the opposite west side at the western end of the platform. 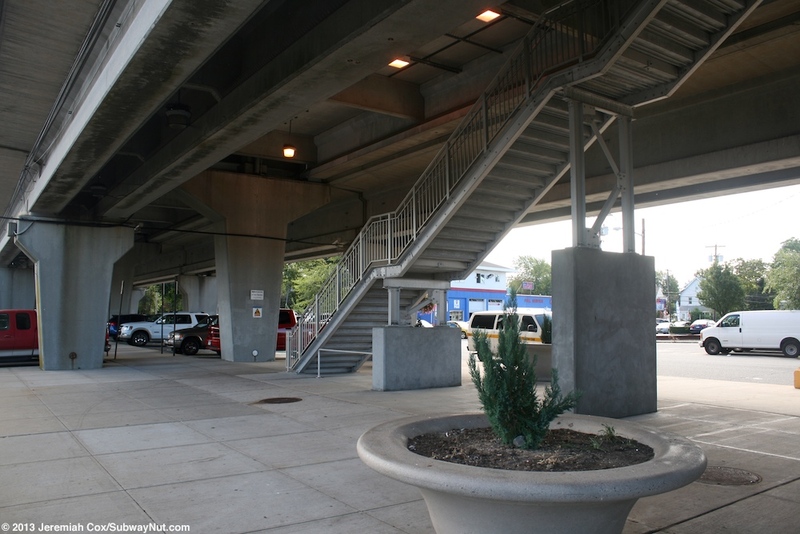 Just east of the station house is another staircase and a final one leads up to the eastern end of the platform. 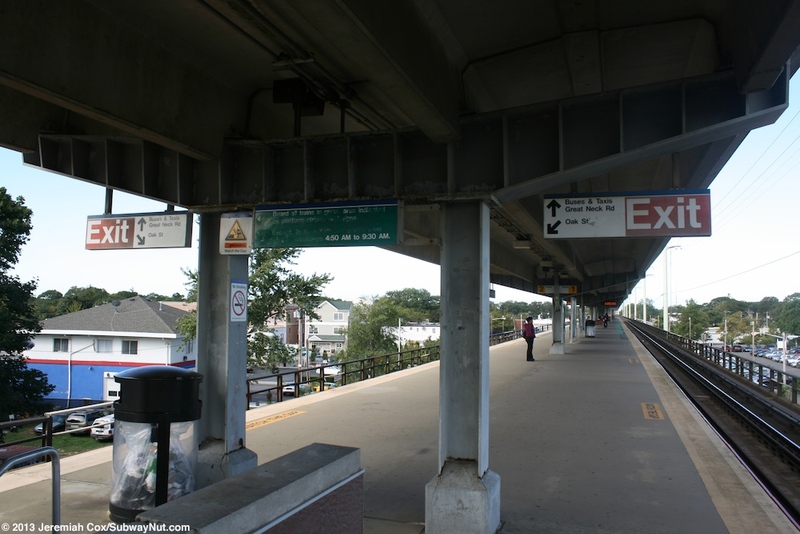 This is near a driveway that is at the end of Verrazano Avenue.